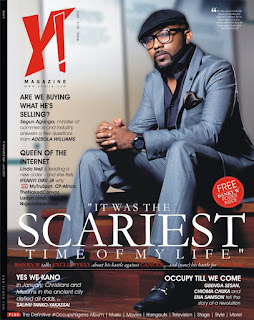 Singer and entrepreneur Banky W covers the hot new edition of _Y! Magazine_ - the 'Power to the People' issue that profiles the energy, passions, and activism of young Nigerians over the past few months. hands - people movements and pop culture have begun to play an even greater role than politicians and government, and those are the kinds of issues that _Y!_ chronicles." 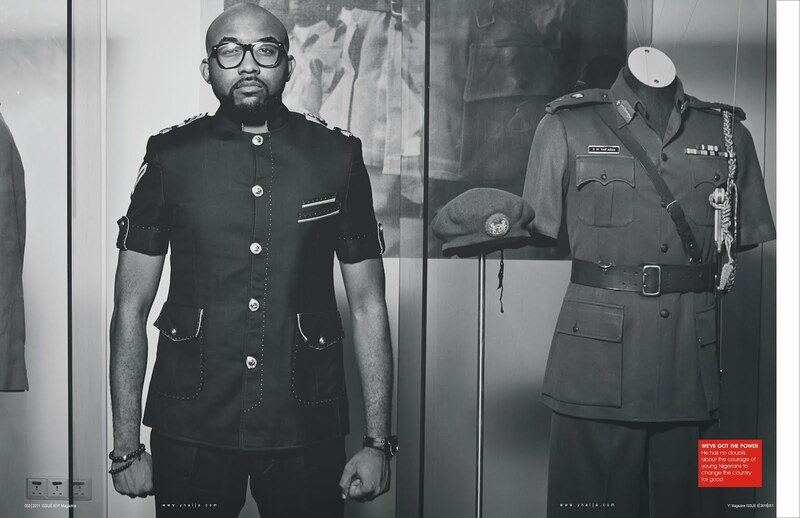 In the cover interview, Banky W speaks exclusively and candidly about his battle against cancer, his activism, and entrepreneurship in Nigeria. 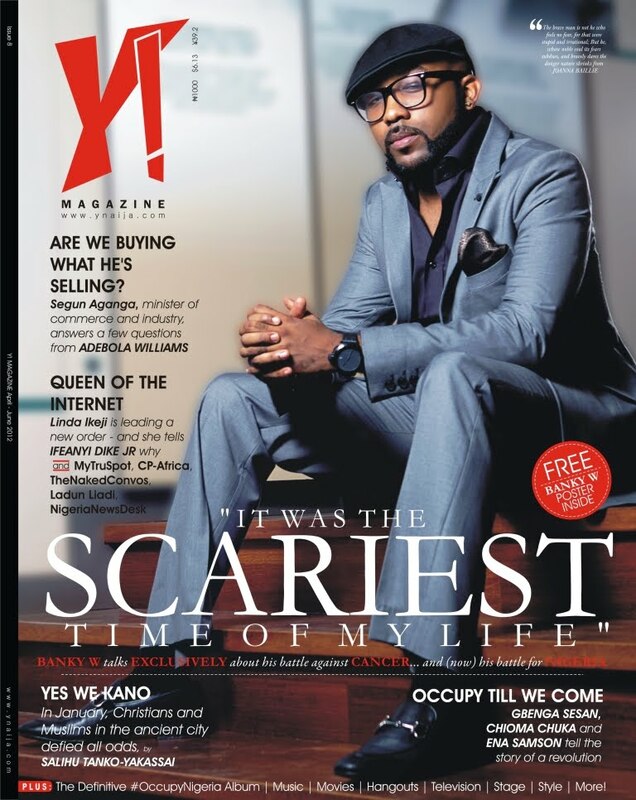 "When I was about to be operated on by a doctor, he cancelled while I was right there on the operating table, because he was nervous about how far it had spread and if he was expert enough to deal with it," Banky W recalls in the cover story. "I think that's when it set in on how serious it was, because we then had to go from one referral to another trying to find the specialist who could operate on this particular strain of cancerous tumours. It was arguably the scariest time of my life." This 8th edition also features an interview with 10 of the nagtion's brightest young people in the online space - including Linda Ikeji, Wale Adetula of The Naked Convos, Nmachi Jidenma of Cp-Africa, Ladun Liadi, Ike Orizu of MyTruSpot, Ediong Umoh of NigeriaNewsDesk, amongst others. 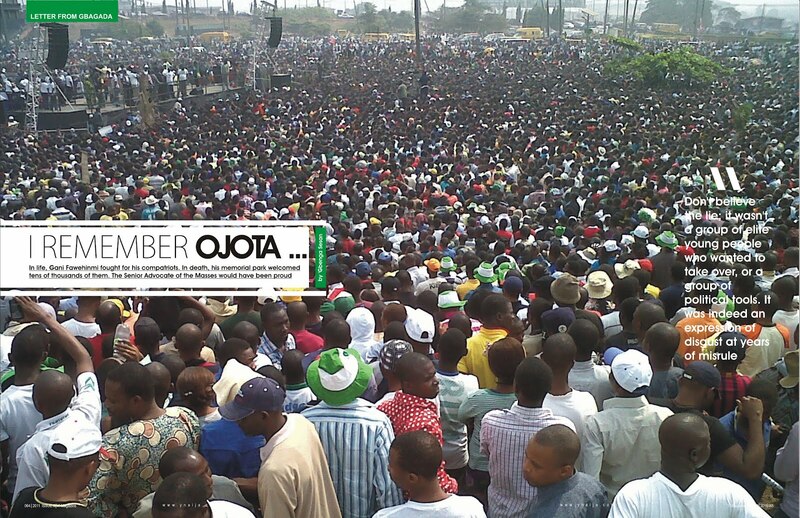 The magazine also features a recap on the major trends from and post the #OccupyNigeria protests this year with features, first person narratives, a full photo album covering Lagos, Abuja, Calabar, Ghana, South Africa, London, and the United States. "And of course, as usual there is a delightful mish-mash of sights and sounds from pop culture across the country," continues Jideonwo. 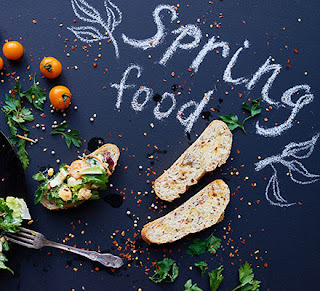 "There are reviews and interviews on television, radio, music, music, theatre, hangouts, events, and an excitingfashion spread." This edition also includes an exclusive interview with Member Hembadoon Feese, the young woman who survived the August 2011 bomb blast that tore through the United Nations building inAbujaa feature on the LifeHouse in Lagos, which just closed down, as well as features from across the country from Akure to Jigawa. 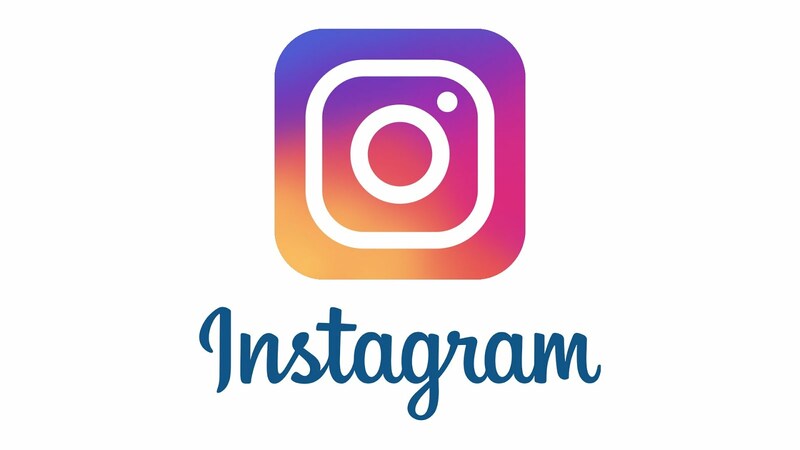 It includes an'Everyday People' feature with five road-side beauticians and an exclusive interview with theMinister of Trade and Investment, Olusegun Aganga. _Y! Magazine_ is the flagship of the Y! brand which, through pop culture, focuses on issues that affect and concern the informed and engaged young Nigerian. While focused on its vision to be the most influential contemporary culture force in Nigeria, especially for the upwardly mobile young person, Y! 's mission is to inspire thought, provoke action, and stimulate growth. Y! magazine is available with distributors and bookstores across the country, campus representatives across Nigeria, and all House of Tara stores in 22 states of the country. 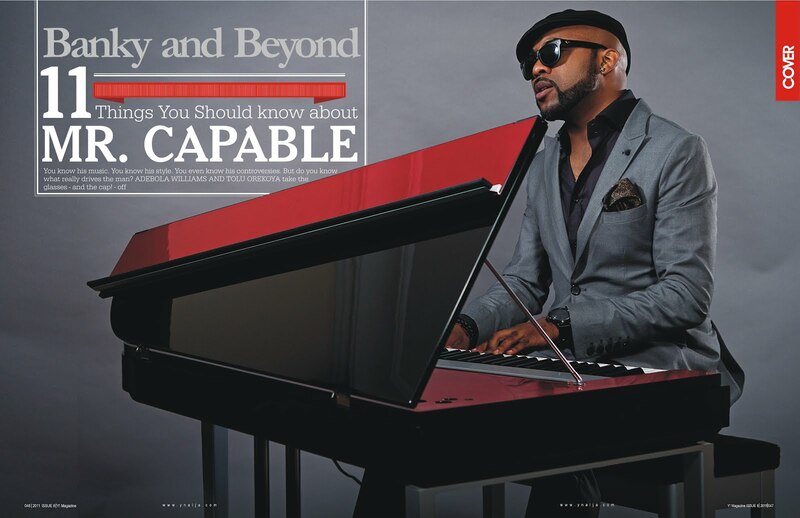 Details on this and subscriptions are available on http://www.ynaija.com/where-to-buy-y/.